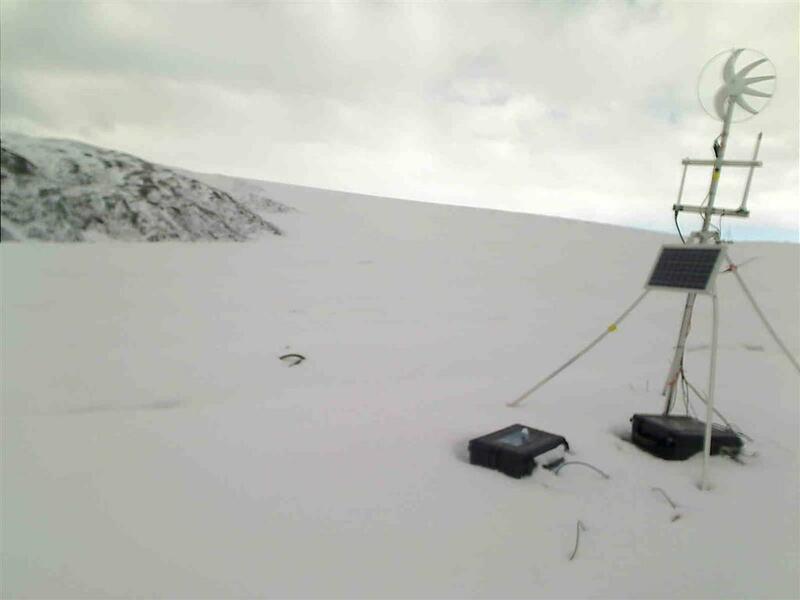 Cameras have multiple uses: observing the conditions to understand changes in readings or system performance, making direct measurements of some parameters like snow depth. 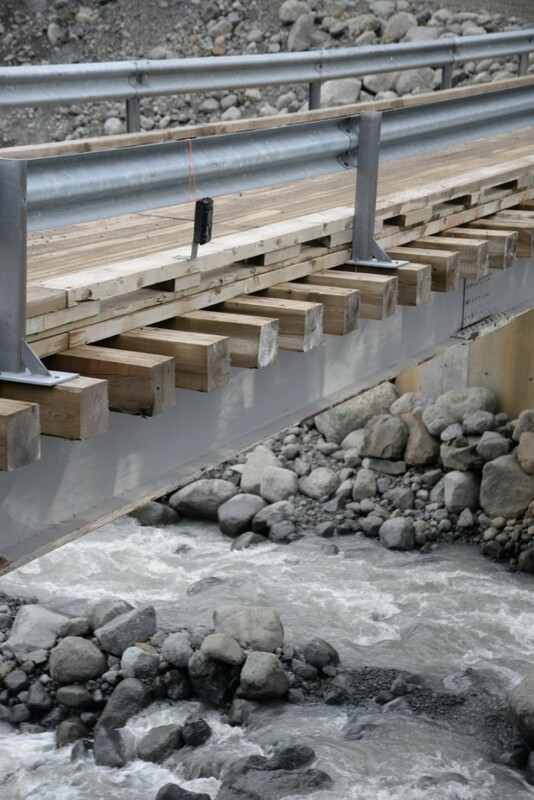 this humble time-lapse camera (brinno) gave us the chance to work on image processing to measure the river level. This automatically captured image is from the webcam mounted on the glacier to observe the base station. This image shows the snow has started to settle and the wind generator is spinning well. 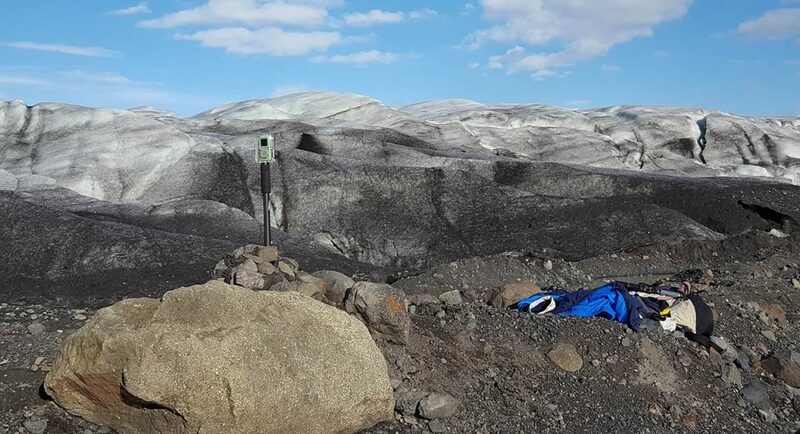 timelapse camera left to record images of the glacier in 2017. It is a Brinno in waterproof case. 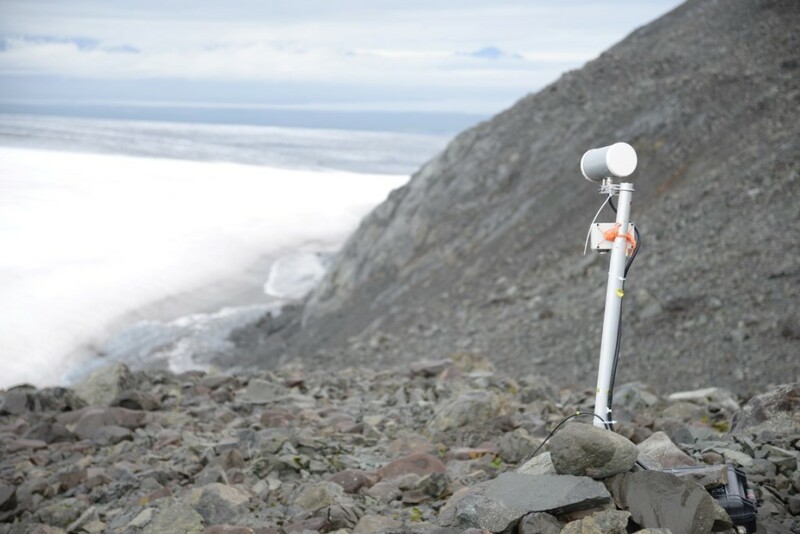 This simple camera produced an incredible winter-long view of the glacier front. 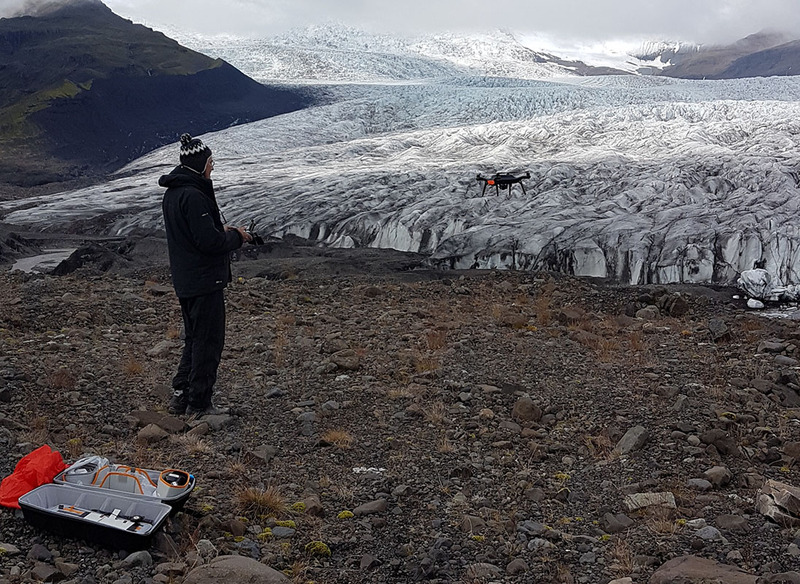 We also use a 3DR Solo Quadcopter equiped with a Mapir survey 3 camera to create 3D models of the study areas. Mapir Survey 3 camera – 12 Mpixel resolution with its own GPS to geo-reference the images. We also automatically store webcam images from vedur.is which will be used to carry out tests on automatic measurements.